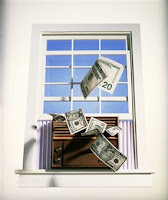 Farrell Brothers: Should You Replace A Working A/C System? Now that Spring has officially arrived and we know the temperatures will stay warm, we'll begin the task of making sure the lawn is mowed and fertilized, the vegetable garden is weeded and hoed and our landscapes are adorned with beautiful flowers and pruned shrubs. Don't forget your air conditioning system as well. We've already experienced how crazy Mother Nature has been lately. One never knows what the Summer has in store for us. While most might think, "If it ain't broke, don't fix it," there are still "fixes" that don't have anything to do with being broken. They are called upgrades and improvements. If your system is over 8 years old, you have an energy hog on your hands. Air conditioners always go out at the worst time possible, so be sure to schedule a checkup before the summer swings into full gear. Even if you don't need to buy a new unit, you'll be comfortable during the hot months knowing your unit isn't about to kick the bucket. If you do need to replace your unit, consider this fancy little acronym SEER, which stands for Seasonal Energy Efficiency Ratio. The higher the number, the more energy efficient the unit is, which means the more money you will save on your energy bill. The number to look for is 16-23. They have a higher upfront cost, but will save you $$$$ in the long run. Thank you for sharing this article with us Randy! I was online looking at different air conditioning specialists to take care of my system, that's how I came across your blog. I'm happy I did because you have provided some great information, I did not know that about air conditioners around the 8 year mark. Thank you again for sharing this!